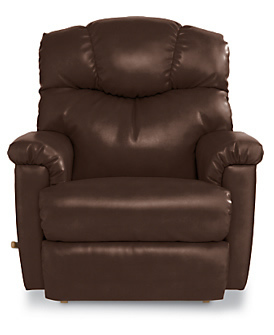 Better Homes Furniture offers a large selection of recliners and specializes in the La-Z-Boy brand. We carry a large inventory of makes and models in our 12,000 square foot North Wilkesboro showroom. And, as a factory-designated La-Z-Boy Comfort Studio, we can order any of the over 2,000 recliner options that La-Z-Boy offers. La-Z-Boy is famous for their many choices and features in traditional recliners, power recliners, lift chairs, and more, as well as offering each model in a number of covers. We encourage you to come in and try out our many different models. Buying a La-Z-Boy is a lot like buying a pair of shoes, you have to try several until you find the one that is right for you. You will find that a small investment of your time will ensure your long term happiness and comfort with your purchase. If you ever see a La-Z-Boy anywhere that is not in our showroom, please know that as a premier dealer, we can order and deliver it straight to your house. In terms of service, if the frame or mechanism of your La-Z-Boy recliner ever breaks, we can repair it, even if you didn't buy it from Better Homes Furniture. We stock a supply of factory repair parts in house. So come by our North Wilkesboro store and try out one of our great recliners TODAY! © 2019 Better Homes Furniture.